Executives at internet content firm Yahoo! Inc. have not officially decided to sell the company at this time and news of a possible “special dividend” payment or a stock buyback program caused the company’s shares to fall on Monday, leading to the biggest Yahoo! share drop since August 4. Shares on Monday declined by 5.6 percent to $15.64 after surging by 28 percent since the company’s board of directors fired CEO Carol Bartz. 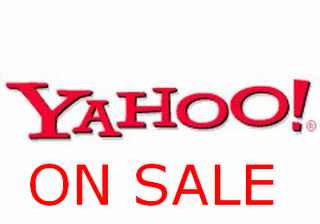 It should be noted that September 26, 2011 Yang sent out a memo alerting employees to the likely sale of Yahoo! Inc., a statement that now appears to be more of a possible warning then a definitive sale alert. If Yahoo does not sell a majority stake the may still offer a minority share to raise capital and take on a new partner. Yahoo spokespeople are refusing to comment on the company’s current direction.